With marijuana legalized in some form in over half of U.S. states, investors are seeing opportunities abound to invest in marijuana stocks. In the eyes of the federal government, the use and possession of cannabis for any purpose is illegal. This has kept many major global market players in the marijuana industry out of the United States. These global companies saw an additional boost in October when recreational use was legalized nationwide in Canada. As other countries and states change their legislation towards legalization, marijuana companies are sure to grow and expand. Even with more permissible attitudes toward marijuana, the fact is that it’s still illegal. As presidential administrations change, so does the federal government’s attitude on flexing its muscle regarding marijuana. While popular opinion seems to be moving towards keeping pot around for good, there is still much up in the air. Given that marijuana is fairly new to the trading game, it's important to note that it can be difficult to accurately project a company’s earnings when they’re so closely tied to pending legislation. Even when a territory declares marijuana or hemp legal, red tape can tie up the industry’s ability to get growers and sellers to work and in permitted, legal shops and farms. Many worry that marijuana stocks are the next Dot-Com Bubble. Experts agree that bubbles tend to be caused by speculators. Keep an eye on how big corporations are treating marijuana stocks: their staying power may be the bellwether on how high pot stocks can climb–and how long they’ll stay there. Think about what kind of marijuana industry company you wish to invest in. Some companies grow, distribute and study marijuana directly (these are often known as “plant-touching” companies). They are the understandably most at risk when state and federal regulations are involved, but as suppliers, they also stand to make great gains when the tide turns in their favor. Other companies strictly handle medical marijuana business, which tends to lose some portion of market share when states vote in favor of recreational use. There is a creative option available for more cautious investors: consider companies that don't deal in the marijuana industry directly. For example, Scotts Miracle-Gro is a “pot stock” because a subsidiary, Hawthorne Gardening based in California, offers hydroponic growing supplies and other gardening tools used by cannabis growers in legal US states. The Motley Fool has been following marijuana stocks worldwide and contributor Keith Speights has this to say: “If you think the case for investing in marijuana stocks outweighs the risks, it's important to think about marijuana stocks as you would any other stock you're considering buying.” Many global companies have been playing in OTC Markets Group, where they saw looser filing and disclosure requirements. That can make knowing the company you’re getting into a little more difficult. Even well-established companies have at times over-projected their growth, disappointing investors in the past couple years. 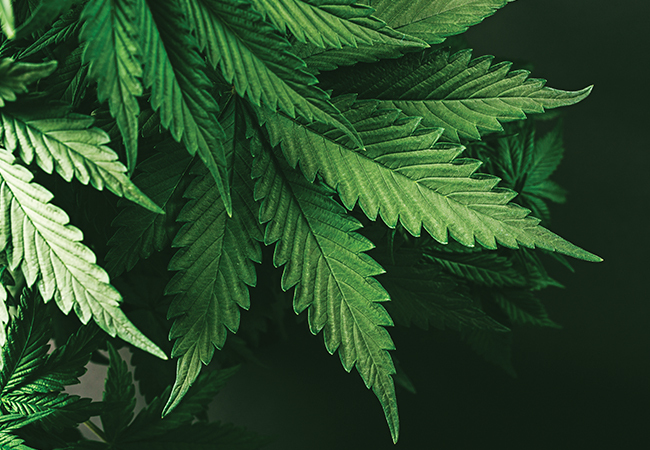 The nature of the marijuana market–and risky stocks in general–is that you should be prepared for big swings in both directions. Speights added, “Your decision to invest in these stocks or stay away hinges on how comfortable you are with accepting the risks associated with the high-growth and high-volatility marijuana industry.” As with any stock, there is one key question to ask yourself before you invest: could I afford to lose my entire investment? What Are the (Potential) Rewards? Potentially, lots and lots of green. The United States Marijuana Index gained 71.49% in one year. Compare that to the 12% gain seen by the S&P 500 and it’s clear that marijuana stocks are more than smoke and mirrors. As part of a balanced, carefully considered portfolio, pot stocks could be a lucrative–and fun!–investment.